The cold winter months are notorious for making skin dry, itchy and sensitive. As temperatures drop outdoors and temperature settings on your thermostat increase, air will become drier and many skin conditions worsen. 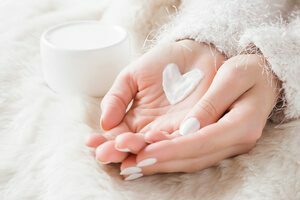 If the winter blues are affecting your skin, follow these tips from trusted Loveland dermatology experts for keeping your skin hydrated from head to toe. One of the most effective ways to keep your skin from becoming too dry is to hydrate from the inside out. Drinking plenty of water, particularly during dry winter months, will help keep you skin fresh, supple and glowing. Water will help to combat the drying effects of central heating and cold winter air helping to prevent breakouts and other skin flare-ups. Click here to read more about the amazing benefits of water for your skin, hair and even your health. Apply moisturizer while your skin is still damp to lock in additional moisture. Remember to apply moisturizer to areas that are often forgotten such as elbows, knees, and feet. There’s no doubt that a hot shower is one of the most relaxing ways to end a busy and cold winter day, but a routine of hot showers or bath could also cause your skin to over-dry. During the winter, you may switch to shorter showers with lukewarm water instead of a longer steamy shower with hot water to help prevent stripping your skin of the oils it needs. Lukewarm water will help your skin and your scalp, preventing drying out and being faced with a dry itchy scalp or dandruff. Routine, yet gentle, exfoliation will go a long way in improving the level of moisture your skin holds. As previously mentioned, skin tends to become dry during the winter, which can cause flakiness along with a build up of dead skin cells. Using a gentle exfoliating mask on your face or an exfoliating body scrub on the rest of your skin will clear dead cells, making it easier to absorb moisture in the air or from a moisturizer. You can even exfoliate your lips to help keep your lips soft and smooth. Be careful not to exfoliate too often or too hard to avoid damaging your skin. Exfoliating two to three times a week should be more than enough, using gentle circular motions and products made with natural ingredients. From facial cleansers to lotions to shampoo and conditioners, be mindful of the ingredients within your products. Soap-based cleansers or those containing alcohols such as isopropyl can irritate and dry out skin even more. Lotions filled with fragrances may smell nice, but they won’t do much to hydrate your skin. Even switching from chemical-filled laundry detergents to gentler, organic products could help improve the condition of your skin. You should also be careful to choose products that fit your skin type. Buying a body wash formulated specifically for oily skin will help to address the issue without over-drying. Likewise, products formulated for dry skin will provide an extra amount of moisturizing elements to help give your skin the extra help it needs. Humidifiers help to combat the dryness created from central heating both in your sinuses and on your skin. Skin on any part of your body can benefit from added moisture in the air and a humidifier is designed to help keep moisture in the air of your home. For more tips on keeping your skin hydrated during the winter, you can click here or call Front Range Dermatology Associates in Loveland today at (970) 673-1155.